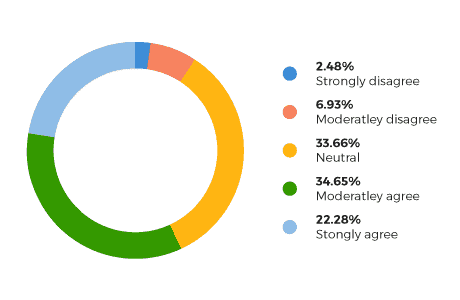 We surveyed 251 respondents who were primarily between the ages of 25 and 54. A number of industries were represented, with the largest percentages coming from the Advertising & Marketing (24.18%) and Telecommunications (32.79%) sector. Respondents were made up of a broad cross section of job seniority levels, from owners and CEOs to managers and team leads. Responses were gathered from organic and social sources. What type of videos do you use? 59% of marketers say that they’ve created Animated Explainer videos. 35% have used Screen Recorded Demos. 33% have run Video Ads. 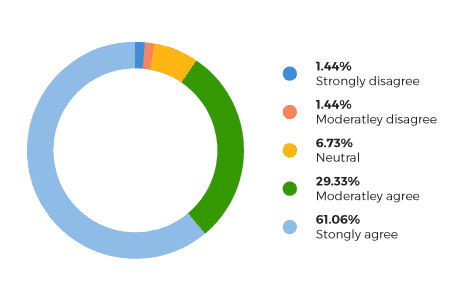 The least popular response was Stop-motion Style video with just 3.5%. What type of videos do you use primarily? 44% of marketers said they primarily use animated explainer videos. 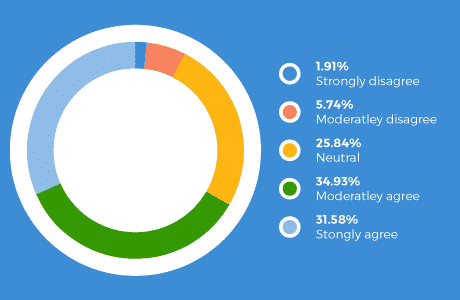 21% said they mostly use screen recorded demos. How many different videos do you use for your business? Nearly three-quarters of marketers (72%) say they use between 1 and 10 videos. 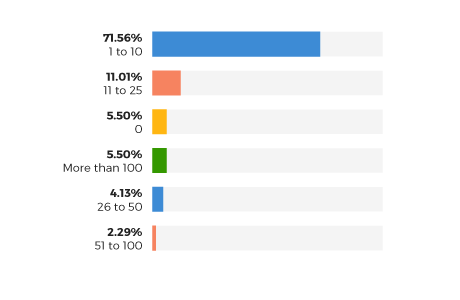 A little over 5% said they use more than 100 videos. What is the primary reason you use video? Over half of marketers say they primarily use video to educate customers. Do you create videos in house or use an agency? 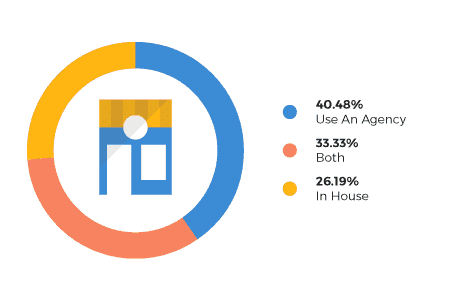 40% of marketers say they outsource production to an agency. 1 in 4 say they exclusively create video in house. 34% say they mix and match between the two – creating some in house and outsourcing others. Where do you use your videos? 70% of marketers say they publish video content on their home page. 62% said they’ve used it on social media. 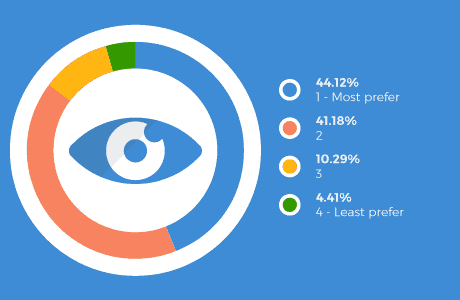 1 in 2 marketers said they’ve used video content on product pages. 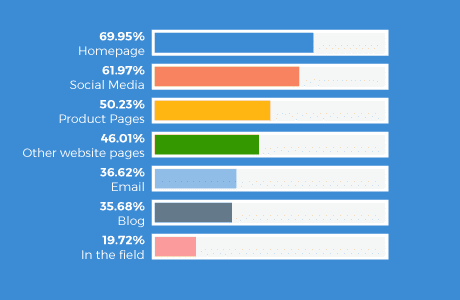 36% have used video content in blog posts. Only 20% say they’ve used video content as a sales tool while out in the field. Where do you host your videos? 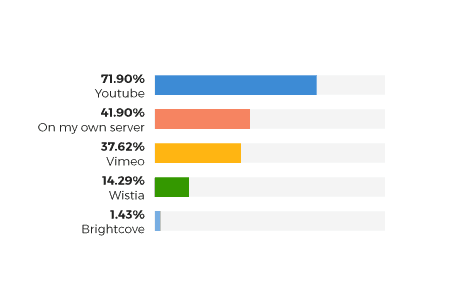 YouTube (72%) and Vimeo (38%) are the most common hosting sites among marketers. A surprising number are still hosting video on their own servers, which isn’t as straightforward as it sounds! Other respondents mentioned services such as Vidyard and Amazon Web Services. Do most of your video views come from desktop, mobile or tablets? 38% of marketers admitted they weren’t sure which device their viewers were mainly using to watch their videos. 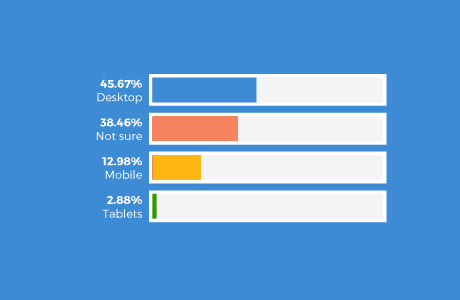 46% said they felt most video views came via desktop. Only a combined 16% felt most of their video views came from mobile (13%) or tablet (3%) devices. Is video an important part of your marketing strategy? 78% of marketers said they considered video an important part of their marketing strategy. Is video essential for your business? 68% told us they feel video is essential for their business. Is video something your customers expect from your business? Over half (53%) told us that they agree or strongly agree that video is now something their customers expect from them. Has your video marketing led to a greater understanding of your product or service? Has your video marketing led to more website conversions? Over half of marketers (57%) feel that video marketing has led to more website conversions. Has your video marketing led to increased organic traffic to your website? Has your video marketing reduced the number of support calls you have received? 30% agree or strongly agree that video marketing reduced the number of support calls they received. 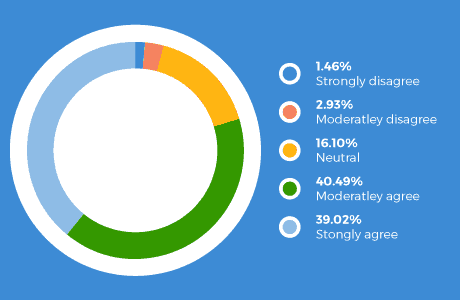 1 in 2 respondents said they weren’t sure, and 20% felt that video had made little impact on support call volume. Do you believe video should educate or inform? 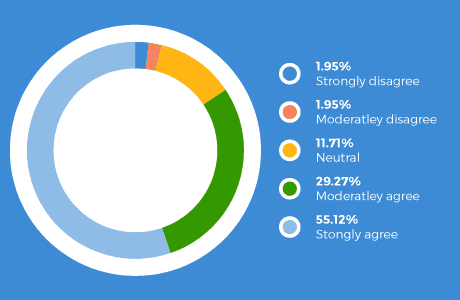 92% of marketers agree or strongly agree that video should educate or inform. Do you believe video should explain how a product or service works? 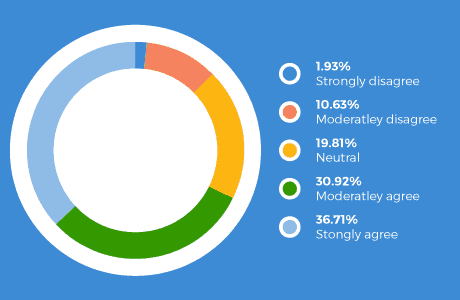 90% agree or strongly agree it should explain how a product or service works. Do you believe video should should tell a story? 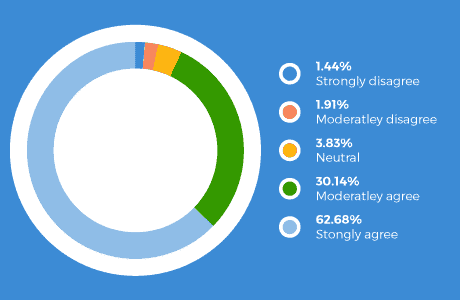 85% agree or strongly agree it should tell a story. Do you believe video should entertain? 76% agree or strongly agree it should entertain. Do you believe video should contain a voiceover? 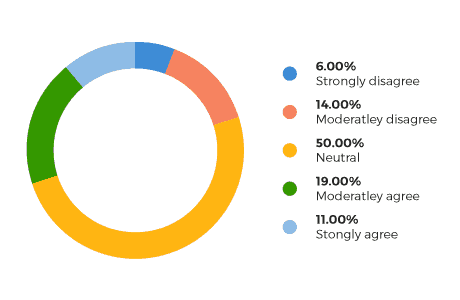 Over 66% of marketers either agree or strongly agree that a video should contain a voiceover. Less than 8% disagree or strongly disagree. 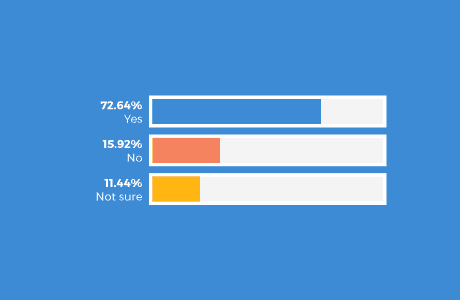 1 in 4 marketers are uncertain as to whether a video should contain a voiceover. Do you believe video should contain backing music? 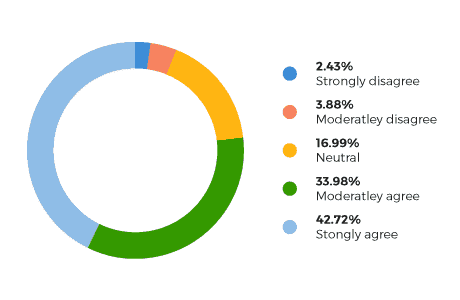 Over 58% of marketers agree or strongly agree that video should contain backing music. 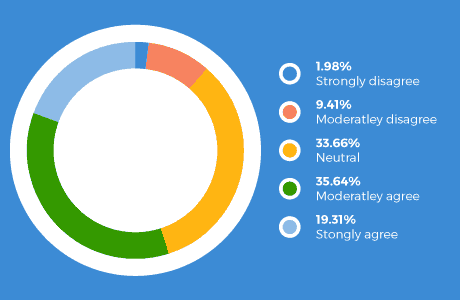 The largest individual response was ‘Neutral’ – with 35% of marketers being uncertain as to whether backing music should be included. Only 10% of marketers say they’re currently using short-form video to market their business. 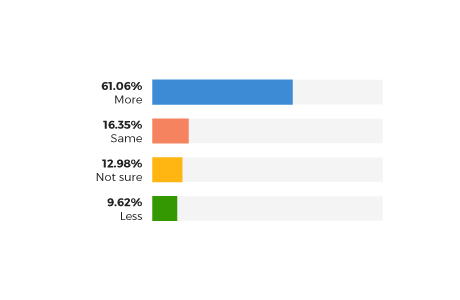 90% of respondents said short form video isn’t something they’re currently using. 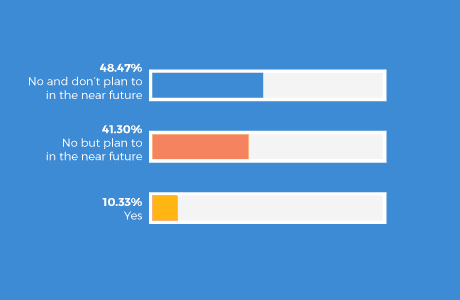 Respondents were split as to whether they did (41%) or did not (39%) have plans to do so in the future. 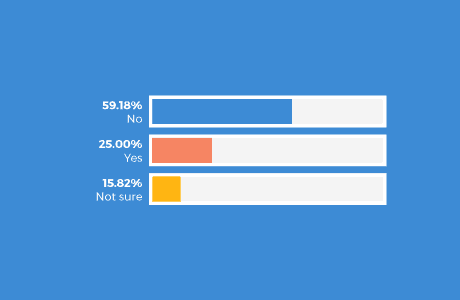 Do you expect to spend more or less on video in 2015 when compared with 2014? 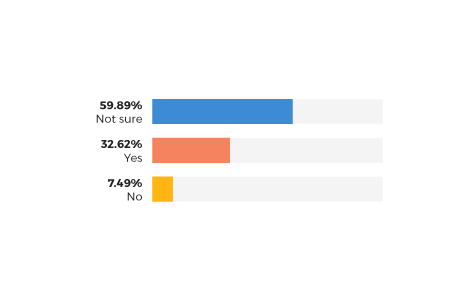 61% of marketers say they plan to spend more on video marketing in 2015. 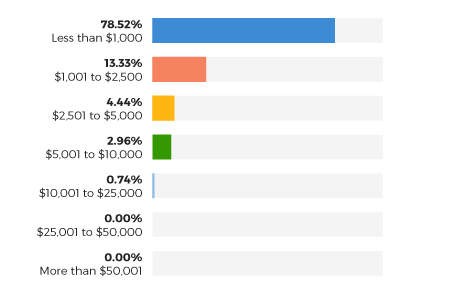 A further 16% predict that they’ll spend about the same in 2015. Only 10% say they plan to decrease spending – with 13% reporting that they aren’t sure. 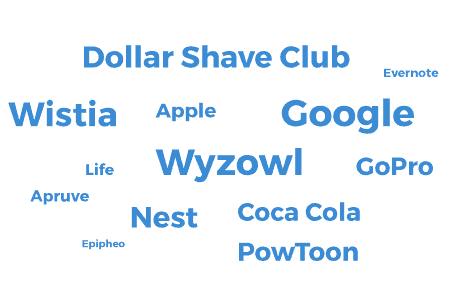 Approximately how much did you invest in video in 2014? 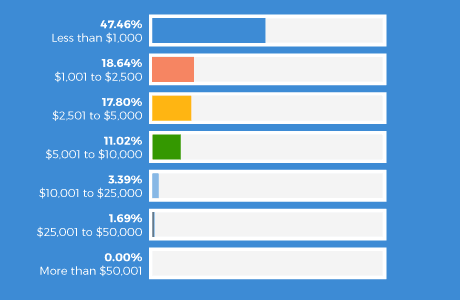 66% of marketers said they spent less than $5,000 in total in 2014. 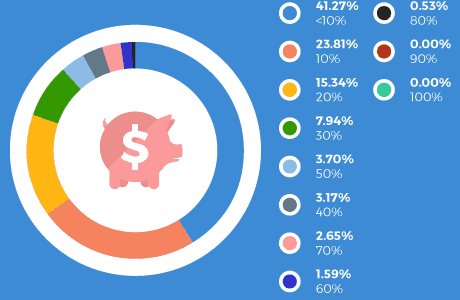 Approximately how much do you plan to spend in 2015? Spending looks set to rise in 2015 – but that actual increase looks like it will be fairly modest. 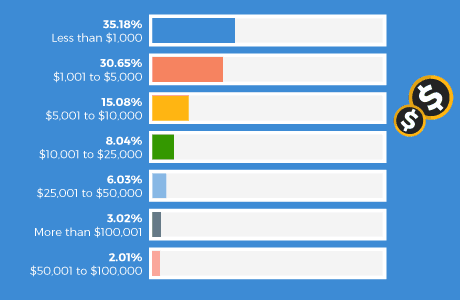 31% of respondents said they plan to spend between $1,001 and $5,000. Approximately how much of your marketing budget will be allocated to video in 2015? 41% of marketers say they’ll spend less than 10% of their overall marketing budget on video. Cumulatively, 80% of respondents will spend less than 20% of their overall budget on video. 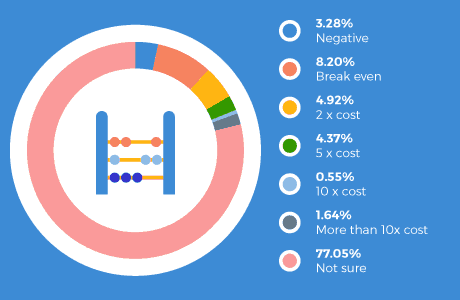 If you use animated explainer videos, how much do you typically spend on a 1 minute video? A combined 95% of marketers say they typically spend less than $5,000 on a 1 minute video. 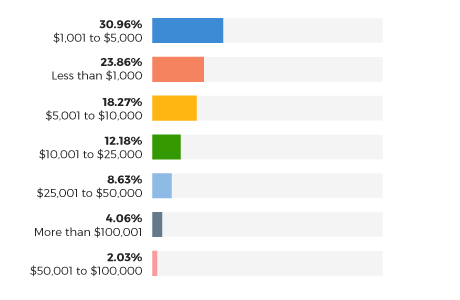 The majority of these (45%) spend less than $1,000. If you use live action videos, how much do you typically spend on a 1 minute video? Almost half of live action marketers say they typically spend less than $1,000 on a 1 minute video. 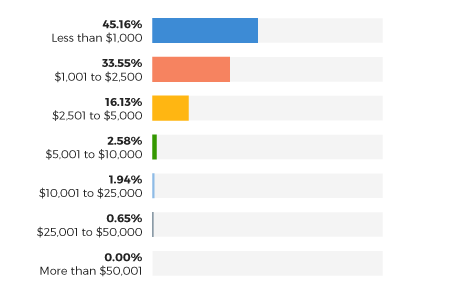 Around the same number told us they spend between $1,001 and $10,000. 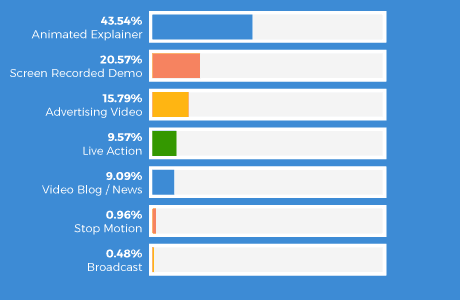 If you use screen recorded demo videos, how much do you typically spend on a 1 minute video? 78% of marketers say they’ll typically spend less than $1,000 on a 1 minute screen recorded demo video. Do you measure video ROI? Nearly 6 in 10 marketers say they don’t measure their video marketing ROI. Does video give you a positive return on investment? 33% of marketers believe that video gives them a positive ROI. Only 7% say it doesn’t. Again, 60% of marketers are unsure as to the ROI it offers. A whopping 77% of marketers said they weren’t sure if they could quantify the return on their investment in video marketing. This perhaps underscores a need for stronger analytics – and a confusion over the specific benefits of video. What is the ideal length for an explainer video? 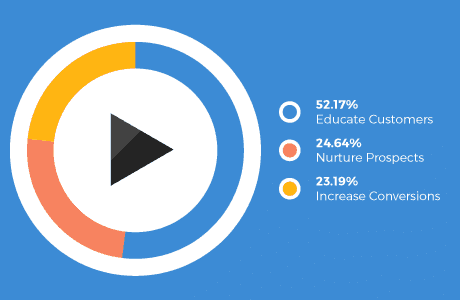 A huge 94% of marketers believe that an explainer video should ideally be 2 minutes or less. Specifically, 39% say they believe the ideal length is between 30 and 60 seconds. 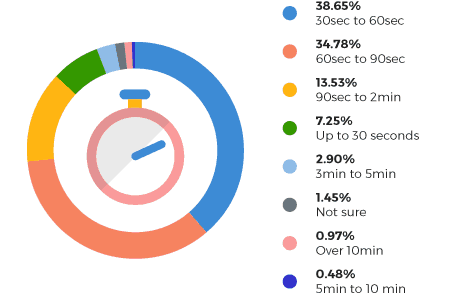 A further 35% believe it should be between 60 and 90 seconds. 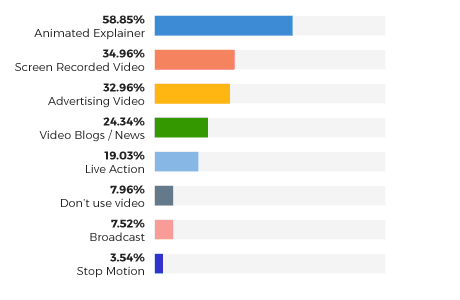 Only 4.5% believe the ideal explainer video length is over 2 minutes. Have you bought from a company after watching one of their videos? Nearly three quarters of respondents (73%) said they’ve gone on to buy from a company after watching one of their videos. 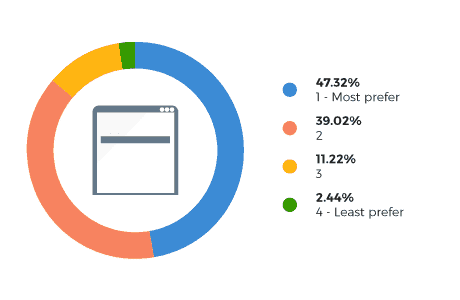 Over 47% of respondents indicate that browsing a website remains their most preferred way to find out more about a product or service. 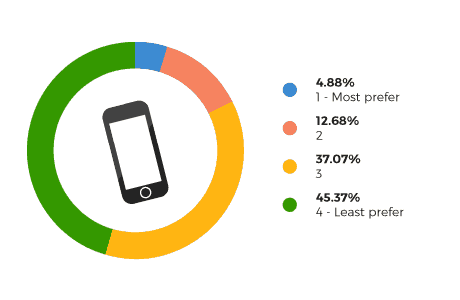 Under 5% of respondents most prefer to find out about a new product or service by calling someone on the phone. Over 45% say that chatting on the phone is their least preferred way to learn about products or services. 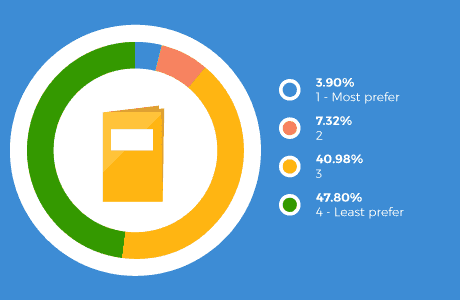 Under 4% of respondents said they most prefer to read a manual about a product or service. 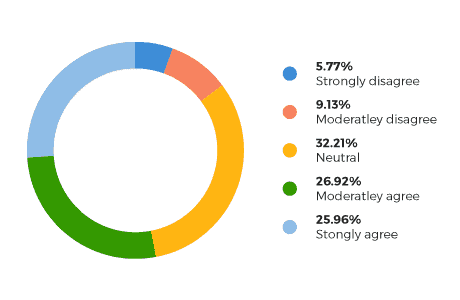 Nearly half of respondents (48%) say reading a manual is their least preferred learning method.